mould/ die, bearing, other metal made parts. With the features of low cost, high speed, compact and easy to operate. 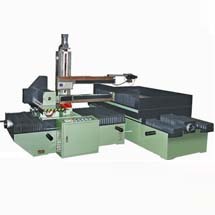 Wire cut EDM is very user friendly with PC interface, Software drawing and processing. What is most important, cnc wire cut edm can make products satisfy all customers. 8) Paralledl work: Input program while processing.